Running Press Adult, 9780762461448, 224pp. A grown-up's guide to makeup, a primer on the best time-saving techniques, and an inspiring, easy way to update your look--Lazy Perfection is the busy woman's guide to looking her best, with minimal effort and stunning results. Every woman wants to look like the best version of her self--natural, radiant, and confident. But who has the time to master complicated steps, or the patience to sift through the glut of choices at the beauty counters? Celebrated makeup artist Jenny Patinkin cuts through the confusion and clutter with her "lazy perfection" approach to beauty, replacing complex techniques and hard-to-wear trends with a streamlined, sophisticated approach to makeup.. Here you'll find guidance on finding a beauty routine that works for you--without a lot of involved steps or overpriced products. Guiding you through an initial makeup drawer purge, through setting beauty priorities, to crafting a finished look, Jenny gives you real-life tips for spending your limited time (and budget) to achieve the results you want. 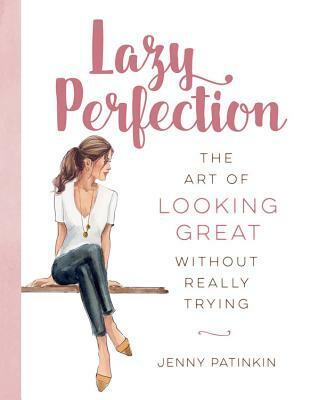 With Lazy Perfection you'll know that you're putting your best face forward--minus the fuss!